Sunday People is a never-before-seen intimate look at the lives of humanitarian workers in India, highlighting the everyday obstacles they encounter from personal sickness, maintaining relationships despite international travel, and the scope of poverty through their eyes. 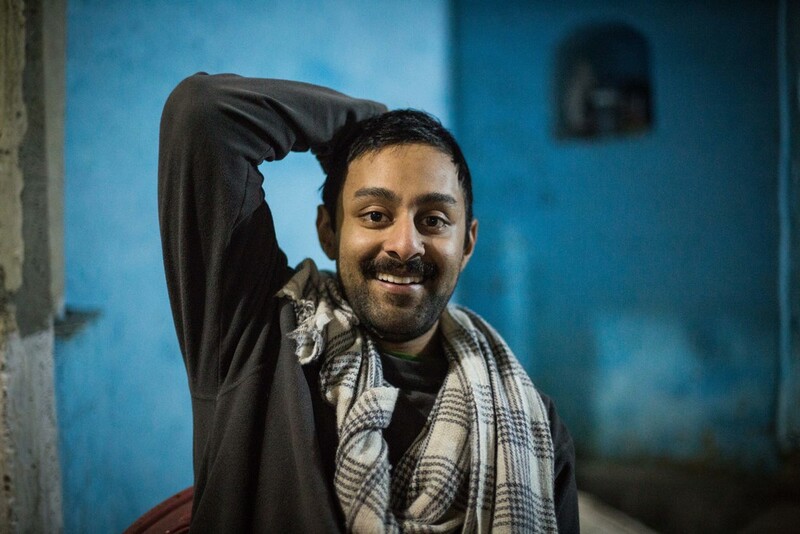 Anoop is an environmental engineer from New Orleans who discovered a new home in Bihar, India building community toilets that generate methane gas to provide filtered water to the most remote and vulnerable villages. His unwavering belief in the importance of standing with the most vulnerable allows him to uniquely interact and uplift communities that have long been forgotten. Born to a family of humanitarians, Shoma escaped her surroundings for a more liberated life in Spain. However her mother's diagnosis with Parkinson's in a resource-limited part of the India brings her face-to-face with the life and community she left behind. After living in India for 8 years, it is hard to distinguish Jesse's mannerisms and Hindi from that of locals. Her story takes us to the heart of Delhi's slums, where she helps children create videos about important social issues in their communities. Equipped with a C100, a loyal team, and her fierce dedication, she screens their videos to slums all over the city, spreading messages by children to children. Sunday People is a film about what inspires humanitarian workers to do what they do. Directed by Saleena Subaiya, it follows three individuals and their work in the most forgotten places in India. From the semi-arid plains of Andra Pradhesh and ending in the colorful slums of Delhi, this documentary is as much about the fabric of a country as it is of the individuals judiciously working to improve the lives of its poorest and most vulnerable inhabitants. The term "Sunday People" was created after Saleena experienced a particularly difficult period while working in East Africa. She discovered quickly that humanitarian work demands hours that stretch far beyond a typical work week, and sometimes there are only a few hours spared on a Sunday to share time with friends. As the lure of aid work draws those with an escapist mentality as well as the noble, "Sunday People" became code word for those individuals who she would willingly share her free time with in a place where resources are scarce, the work is hard, and home is far away. Saleena is an emergency department physician who has spent the last 9 years working in public health and international development work.